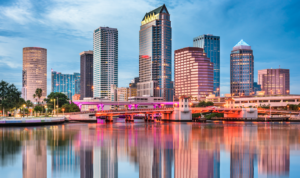 Compare prices from Tampa's best hauling companies. Don’t let unsightly piles of trash spoil a day by the bay. Trust Dumpster Market to set you up with reliable Tampa dumpster services and trash pick-up. For many people, the worst part about a big project is having to deal with the trash and debris. But we’ve used our 30-plus years of industry experience to create an easier way for both customers and haulers. By using our online tools, you can quickly find a dumpster rental in Tampa that’s a perfect fit for your needs. More people use Dumpster Market every day to arrange for household junk removal, commercial construction clean-up, roll-off services and other forms of trash pick-up. Our trusted partners offer sizes for everything from small-scale bathroom remodeling to large landscaping jobs and building demolitions. To start your search for a dumpster, either select a size or provide us with your debris type, location and other basic information. We’ll immediately provide quotes from everyone in our database that provides the right services in your area. We spell out everything you need to know about pricing, tonnage and time so you can truly get the best price. 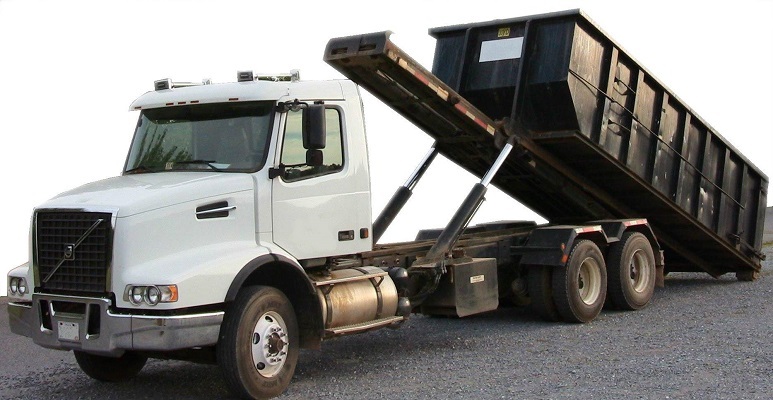 These full-service Tampa dumpster rentals include delivery, pick-up and waste disposal. And there are never any hidden fees — you pay exactly what we said you would! We don’t just help with arranging trash and recycling services either. Our Resource Center is full of information, including what you can put in a dumpster and what you can’t. For construction contractors, we even have a debris calculator so they can estimate their disposal amounts and get a better rental deal. 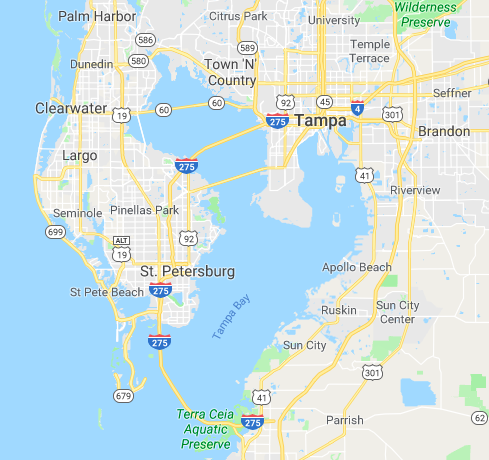 From Tampa to Clearwater, our dumpster services will help everyone keep the Bay beautiful. Frequent customers can take advantage of our Loyalty Program as well with cash back, referral bonuses and large-job discounts. Count on us whenever you need yard debris, scrap metal, concrete and any other solid waste hauled away.